« What is the role of magnet in pacemaker evaluation ? Thanks for your provocative mail. 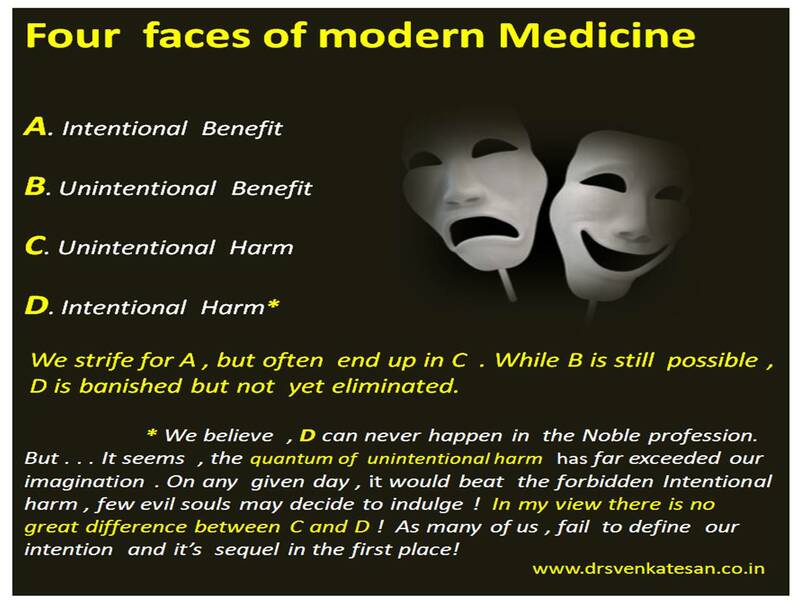 I think the modern Doctor does try most of the time for intentional benefits as a result of which there may be unintentional harm to the patient because no modality of treatment is free of side effects or problems.This is something which we the Doctor may have to trade off. As long as the treatment falls in the guideline and is deemed beneficial the intentions of the doctors cannot be challenged.